A rare and interesting scientific stick barometer by Jesse Ramsden incorporating his innovative improvements in accuracy. The instrument is of mahogany with an ebony moulding around the register plate, it has a flat front with concealed tube and boxwood cistern. The barometer scale reads from 26.1 to 31 inches of mercury and has a manual vernier scale. The mercury thermometer, with ivory scale is graduated from –5 deg F to +135 deg F and has a scale for correcting the barometer reading at different temperatures. The scale gives the correction factor in 0.01 inches of mercury for temperatures above and below 50 deg F.
To improve the accuracy in reading the level of mercury in the tube Ramsden, in about 1775, firstly made the index in the form of a ring so that the index was in front of and also behind the tube. Secondly the barometer mounting had a slot cut behind the tube so that the mercury level was illuminated from the rear as well as the front. These innovations eliminated the effect of parallax in the reading. It is also probable that Ramsden was the first to use a vernier scale, with rack and pinion adjustment, on a barometer. Ramsden’s other innovation, published in 1772, was a method for adjusting the level of mercury in the cistern to the zero of the scale. 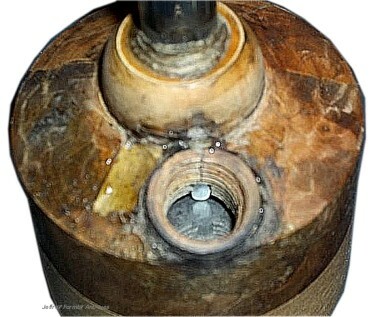 The cistern has a fixed ivory pointer at scale zero, viewable when an ivory plug in the cistern is removed, The mercury level is adjusted by raising or lowering the leather bottom of the cistern. 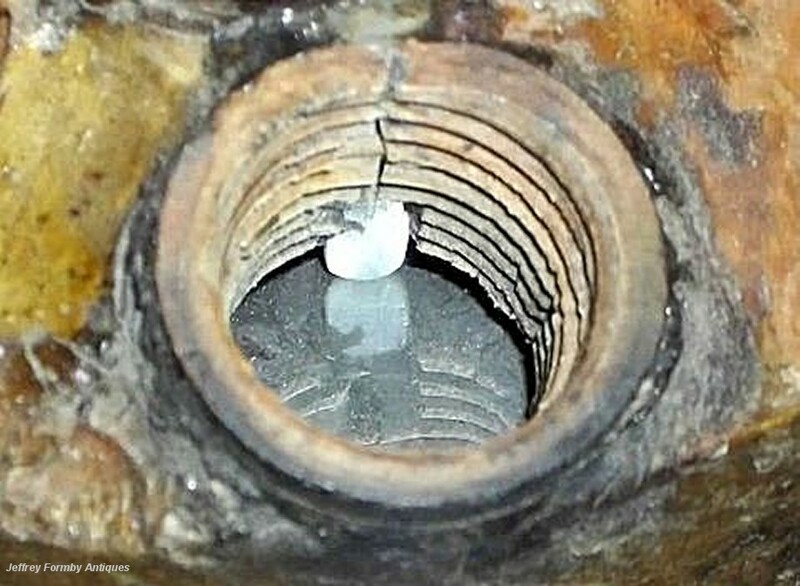 [Note: It is strongly recommended that you do not remove this plug as mercury spillage will almost certainly happen]. The mercury thermometer and mounting clips are replacements as is the vernier adjusting knob. The barometer scales have been re-silvered. Jesse Ramsden was the leading scientific instrument maker of the late 18th century. He was born in Yorkshire in 1735 and working in his own London workshop by 1763. Ramsden was elected a Fellow of the Royal Society in 1786 and died in 1800.